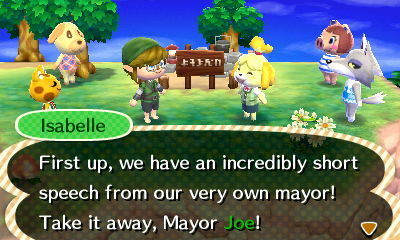 Haven’t missed a day of playing, so things are starting to open up in New Leaf. The flower shop is open on Main Street, and the Nook kids upgraded to the first store evolution. 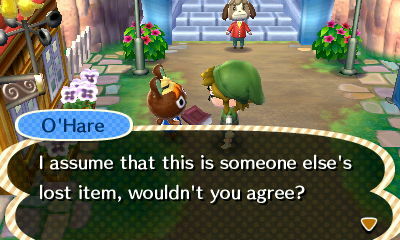 My first town improvement was to add a second bridge. As is typical, I have a big river cutting through town, so smart bridge placement helps me from getting stranded after a long walk. 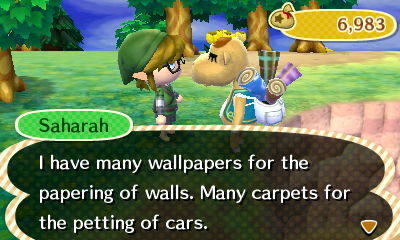 Saharah now handles both wallpaper and carpet. Which I guess she has for a couple games now, since I recall Wendall being bumped down to stupid art textures, right? Anyway, that’s a funny line right there. This is why it’s great to do an island run and stack up fruit in your inventory. Everybody is always so polite. 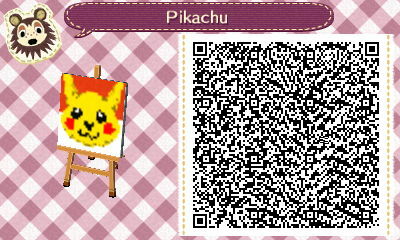 My first QR code! Nintendo is going to go down in history as the last operating company to still use these. 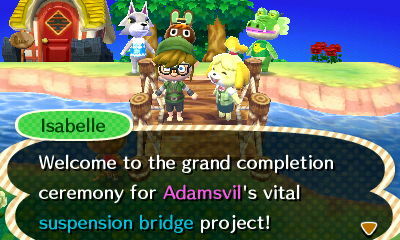 I followed up the bridge construction with a town campsite. 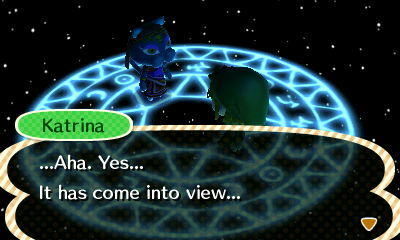 Now I get a bonus animal villager rolling through town on a camping holiday. As soon as this one ended, I went for the big one: the Dream Suite! 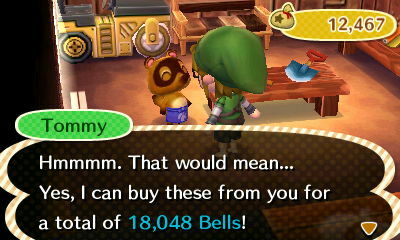 Going to take a while to pay that one off. And then one day Shrunk showed up! 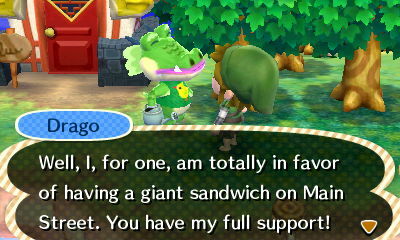 In this shot he’s begging for my approval to open Club LOL. Of course the nimrods around here don’t get it. 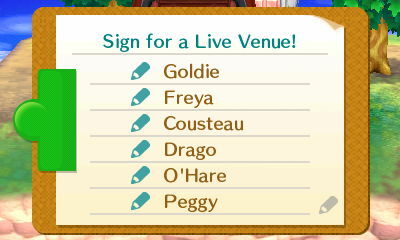 But I do like the cute petition checklist thing! 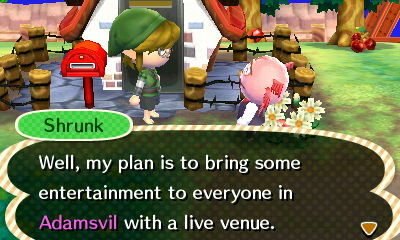 I had to run around and collect signatures of six animals that were okay with Shrunk opening up his live entertainment venue. And I am so glad I have this crap out of the way. 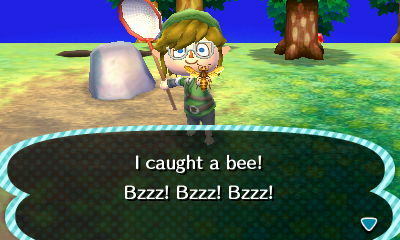 It is so annoying to catch the bees that chase you, and that has not changed one bit in four games.